“It is a pleasure to continue working with Peter knowing that there is a perfect synergy between him and the Olympic brand. We are happy to give consumers a brand that helps them keep fit, stay active for longer and also help them stay healthy” he said. 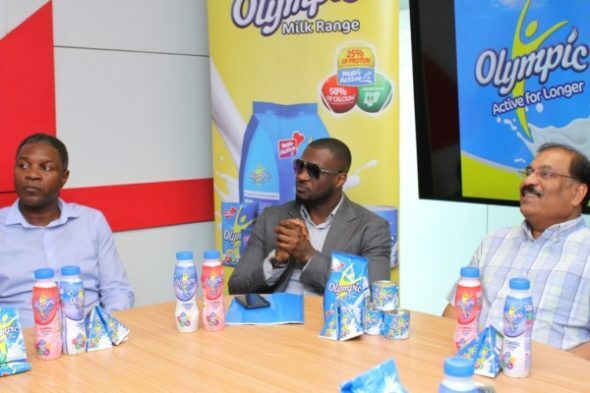 For his part, Peter Okoye thanked the company for the partnership as well as the opportunity to continue promote the cause of the brand and encouraged Nigerians to embrace a more active lifestyle. He promised to keep spreading the brand’s messaging of affordable nutrition, delivering a trusted healthy formulation with the promise of low cholesterol content. 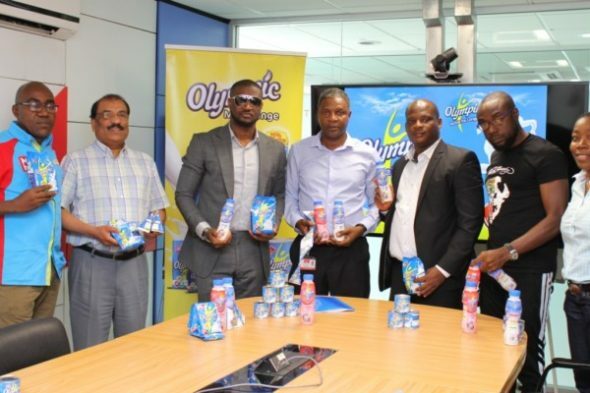 According to the brand, Olympic milk anchors on affordable nutrition and the primary benefit of low cholesterol content. They add that the product is made from vegetable fat which contain plant sterols that actively remove cholesterol from the body. Olympic milk is available in powdered form in different pack sizes and in evaporated form. The brand also has the Olympic Apple flavoured fruit drink.